This summer I thought I’d share some tips for harvesting ingredients for easy handmade beauty products, right in your back yard. Stinging nettles are not my favorite plants when it comes to gardening (last summer it took Klara many painful reminders, but now she can spot a stinging nettle from accross the garden! ), but from a beauty point of view they are phenomenal! 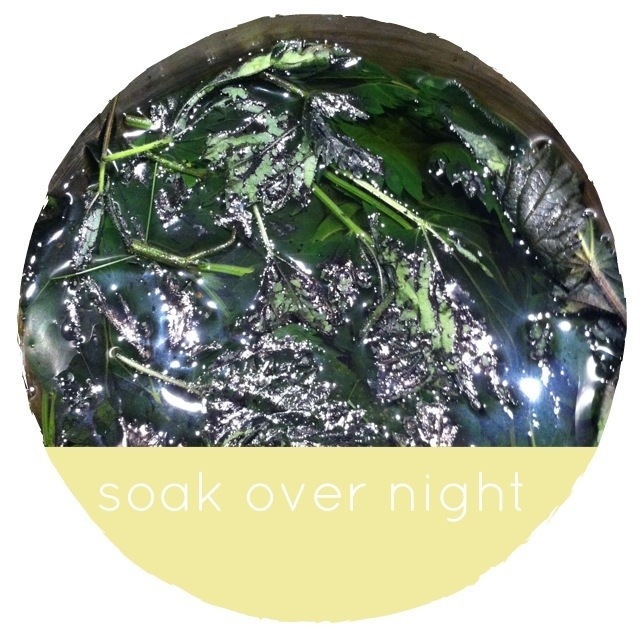 Nettles are cleaning and healing when it comes to skincare. They contain antihistamins and sulphur, and that make them great for excema and scalp problems. 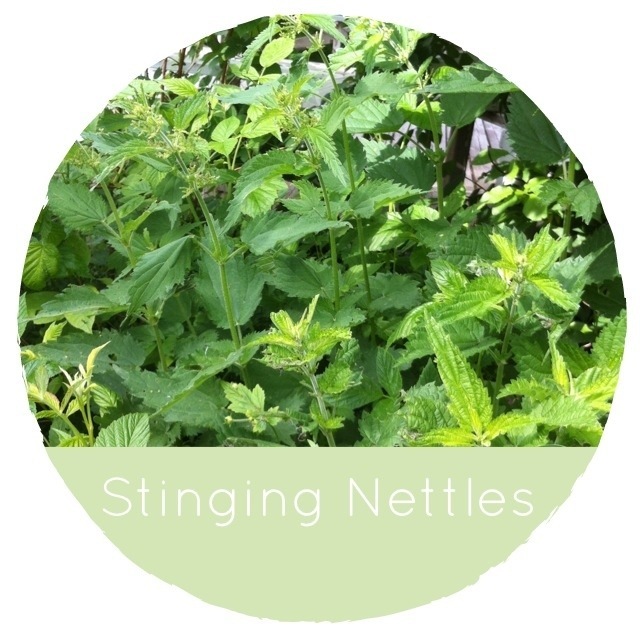 Stinging nettles reduce oil production in your skin as well, so they are excellent for oily skin. Make sure the leaves are clean from bugs and dirt and put them in a bowl. Pour boiling water over them, cover and let stand for at least 24 hours. Drain the leaves and pour the nettle water into a bowl, jug or bottle. Keep in the fridge. 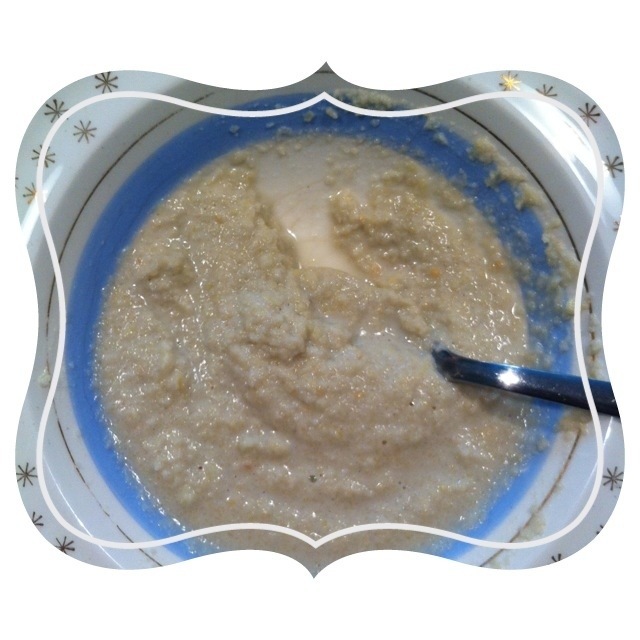 In a bowl, mix 2 tbsp nettle water, 1 tbsp whipping cream and 4 tbsp almond flour. Mix and let sit in the fridge for a little while to thicken. You can also add a drop or two of your favorite essential oil (I added 2 drops of lavender… my absolute favorite!). Use this as a mask or cleanser (just massage into skin, and either leave on as a mask or rinse off as a cleanser) , keep it in the fridge and use up within a week. Entry filed under: Anna's ramblings, Skincare. Tags: beauty, nature, plants. How clever to think of using nettles in a face mask/cleanser. I’m assuming that they would tighten the pores as well as clean the skin? Yes Roslyn, they would. And you could also use the nettles as a toner!